Overturning Roe v. Wade is necessary to energize abortion advocates to fight against conservative moves that continue to chip away at abortion protections across the U.S., an activist argued Wednesday. “[I]f Roe v. Wade‘s fate really comes before the Supreme Court, then for the first time in decades, the abortion rights movement will understand that the threat it is facing is not theoretical, and supporters will stop fighting like it is,” Robin Marty wrote in a Wednesday op-ed published in Politico Magazine. The U.S. Supreme Court ruled in Roe v. Wade that women have a constitutional right to an abortion under the 14th Amendment on Jan. 22, 1973. The ruling extended the right to abort up to the point of fetal “viability,” which physicians generally agree sits around 24 weeks. The term, however, continues to foster debate as neonatal care advances. Following the court’s ruling, abortion advocates have failed to effectively challenge moves stripping away abortion protections at the state level, according to Marty. “Democrats have done little to stem the tide of legislation that has winnowed away access to abortion across the country, even while it has remained technically legal,” Marty wrote, citing more than 400 laws passed by state legislatures since 2011, according to the Guttmacher Institute, a research and policy organization on reproductive health and rights. 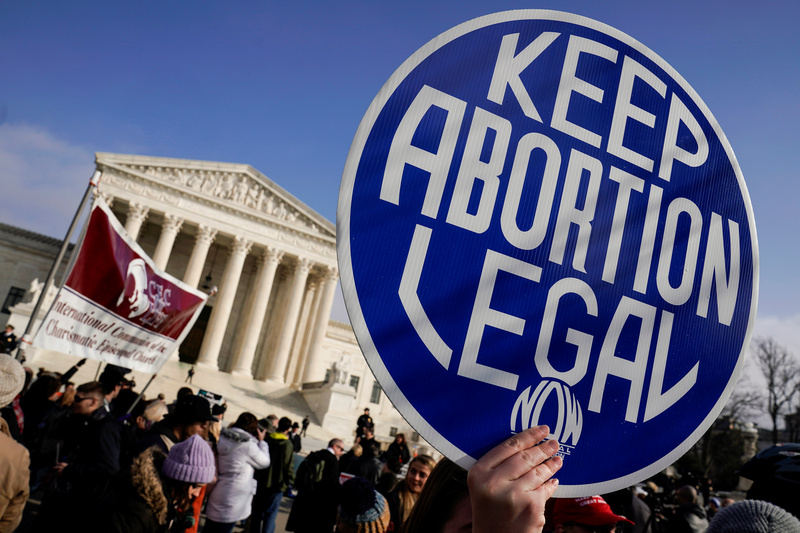 Alabama, Arizona, Arkansas, Michigan, Mississippi, New Mexico, Oklahoma, West Virginia and Wisconsin have laws banning abortion that would become effective if Roe v. Wade is overturned, according to the Guttmacher Institute. Louisiana, North Dakota, South Dakota and Mississippi also have constitutional statutes that would make abortion illegal should the court overturn Roe v. Wade. Liberal complacency has permitted restrictions on abortion access to disproportionately affect marginalized communities, according to Marty. “If Roe is overturned in the United States, our current phase of post-Roe complacency will be seen not as a rational response to an era of secure reproductive rights, but as a warning sign,” Marty wrote.